Does your husband have dry bones? Today I asked my husband what one thing most husbands really wish their wife would understand. Here is what he said. Most men long for their wife to notice something good about them and to tell them what they see! It could be a positive character quality he displays. It could be the fact that he works hard to provide for the family. It could be a talent he has. It could be the way you notice him submitting himself to God. 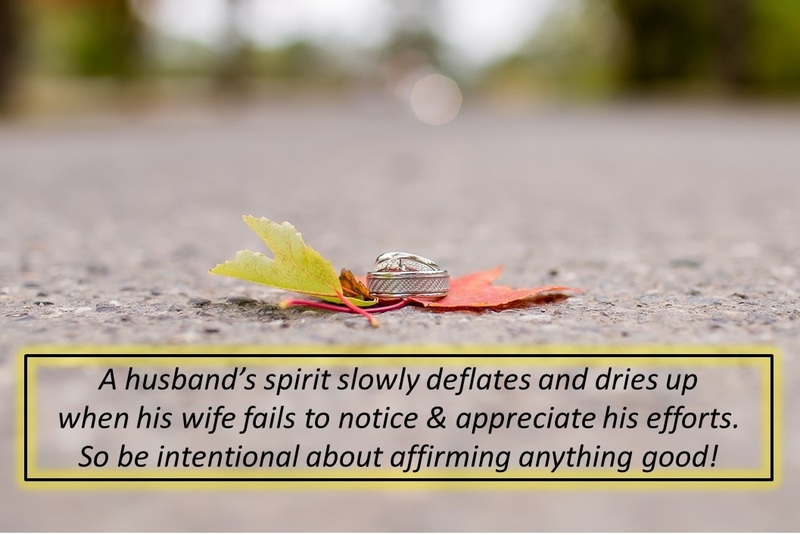 Will you commit to finding something to affirm about your husband every day for the next 7 days? Will you commit to actually telling him about the good you see? He will soak up those words like a sponge, and it will bring life back into the dry bones of his spirit. ← Be alert to this common scheme of the devil!